In its origin the causal mechanisms approach (link) is chiefly an answer to the question, “what is a good social explanation?”. So it turns out that much of the mechanisms discussion has taken place within the philosophy of science, especially the philosophy of social science and the philosophy of biology. The question I’d like to formulate here is whether mechanisms theory has any relevance to methodology as well? Can sociologists make better progress on concrete research problems by organizing some of their thinking around the construct of a social mechanism? This kind of question comes up with respect to a number of the topics and innovations that have occurred in the philosophy of social science in recent years — critical realism, causal powers, and strategic fields, for example. It is certainly worthwhile developing theories and refinements of each of these concepts within the philosophy of social science. But it is an additional question to ask whether these concepts have a valuable role to play in discussions of research methodology and design as well. So what is the problem of methodology, from the point of view of the working sociologist? The researcher has a number of preliminary tasks: What is the domain of social phenomena that are of interest? How can those phenomena be studied using available empirical tools? How can we theorize what is going on in this domain? How can we think about the nature of the entities, processes, causes, and meanings that make up this domain? And how can we probe the properties and dynamics of those sociological entities and processes? Take a phenomenon like corruption. China is said to face a social and political problem deriving from widespread corrupt practices. How would we investigate the phenomenon of corruption in China (or India, the United States, or Finland)? 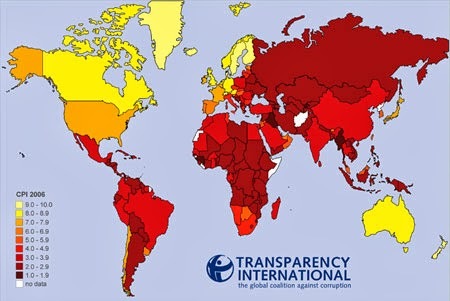 Corruption is an umbrella concept that describes patterns of behavior across a wide range of domains: interactions between police and the public, practices through which business contracts are secured, enforcement of environmental and safety regulations, enforcement of trade regulations, practices through which individuals secure services from hospitals and licensing authorities, and there are indefinitely many other examples. Moreover, we can identify similar patterns of behavior in many countries, so there is an element of international comparison in play as well. And yet not all instances of rule breaking are instances of corruption. So there is a preliminary task for the researcher, to engage in conceptual work and to define, for the purpose of the research enterprise, what kinds of behavior by agents and citizens will be counted as “corrupt”. Here we would like the researcher to work like a philosopher of language in some ways: “What do we mean by ‘X’ in ordinary or technical parlance?” In the current example, we would like the researcher to arrive at a working specification of corruption that is both reasonably practicable in application but also reasonably conformant to our prior assumptions about the category. (A definition of “corruption” that identifies corruption as “income-enhancing strategies by an economic actor” may be easy to apply but entirely inadequate as a specification of what we mean by corruption.) Robert Klitgaard does this kind of conceptual work in his 1988 and 1989 books, Controlling Corruption and Corrupt Cities: A Practical Guide to Cure and Prevention. This definition would capture many of the examples provided above: police officers giving speeding tickets, customs inspectors closing their eyes to valuable undeclared items, hospital staff making decisions about admissions and treatment of patients, safety inspectors approving a given location or activity — in exchange for a gift from the affected individual. Essentially the corrupt agent is “selling” a service or benefit which he or she controls to an individual who needs that service, contrary to the rules of the organization. The mechanisms theory is particularly relevant to methodology for at least the final three tasks. The background assumptions the researcher brings to his or her work about what a good explanation, a good policy design, or a good comparison ought to look like will strongly affect the ways in which he or she proceeds from this point further. For example, the extensive theorizing and discussions of principal-agent problems in political science may shed light on concrete mechanisms through which corrupt behaviors are controlled in a variety of existing circumstances. The Principal wants the Agent to act according to the rules of the organization; the Agent is to some extent outside his observation and control. So what mechanisms of self-enforcement are available to lead the Agent to comply with the expectations of the Principal? One mechanism of compliance that the Principal may consider is a Corrupt Practices Tipline, whereby consumers can anonymously report corruption by specific officers. This extends the Principal’s ability to gather information about the Agent’s behavior. The Agent, knowing that the Tipline exists, constrains his otherwise corrupt inclinations, and the incidence of corrupt practices declines. Another possible approach for the Principal is to link the Agent’s longterm rewards to his/her longterm success in assigned tasks. Jean Ensminger describes the practice of gifts of “bridewealth” in these terms, as a way in which cattle owners maintain the loyalty of their herders during the long periods of time that they are out of sight in the foraging areas (Making a Market: The Institutional Transformation of an African Society) Deferred compensation and stock options may play a similar role in the modern business organization. Another mechanism that might be considered is selective investigation and enforcement. The Principal may know that many customs agents are accepting small gifts of money when evaluating customs declarations, and that a small number of these transactions involve high-value items and correspondingly high-value gifts. It might be sensible to focus investigation and enforcement on this smaller incidence of high-value transactions. Choosing this strategy may have the effect of significantly reducing “big corrupt transactions” while leaving “small corrupt transactions” essential unchanged. A final mechanism that might be considered here (out of many possible avenues of investigation) is a cultural factor — training, education, and inculturation. We might consider whether one cultural setting does a better job of preparing individuals to play honest roles in organizations than another based on the educational and formative experiences that are offered to them. This can provide the basis for a hypothesis about a causal mechanism leading to a high (or low) rate of corrupt behavior; and it might provide a basis for a possible policy intervention (workplace training to shift basic values). This is one example of the way a concrete research strategy might evolve. The important point of the example is that the philosophical orientations described here — “simple empiricism”, “mechanisms theory” — lead researchers to structure their investigations in very different ways. The researcher who is attuned to causal mechanisms will focus his or her efforts on uncovering the concrete social pathways or processes through which a given pattern of behavior is either encouraged or discouraged; and the researcher will be led to consider comparative cases to see whether similar arrangements lead to similar patterns of behavior in the other cases. This suggests that the discussion of the ins and outs of causal mechanisms theory in philosophy of social science may in fact be an important contribution to social science methodology as well.